New Connections Communication Services, Inc.Services - New Connections Communication Services, Inc. The customer is the core of every business, no matter what business or industry you are in. For over 38 years, New Connections has delivered answering service solutions to clients, meeting customer needs across many industries. We will answer your calls with a friendly voice and get a complete and detailed message. Our customized plans are flexible to meet your business objectives and can be customized to meet your needs. We will bring an out of the box solution that will deliver success on each and every call we handle for you. New Connections is the leader in connecting patients and providers through standard and customized communication solutions that enhance patient access and improve patient and provider satisfaction, making these servicesessential to every practice. Our HIPAA-trained agents understand the needs of your callers. We confirm that each protocol is followed to the letter. With Mi-Secure messaging, we meet HIPAA compliance and ensure security in transmitting messages between medical staff members and our trained agents. The healthcare environment has changed. No longer do doctors and healthcare staff members want to carry pagers. These medical professionals want to use a one-device solution in their smartphones and tablets. They also need the security in place to protect their patient’s information. With the New Connections miSecure Messages solution, their devices replace the pager while featuring more functionality and convenience! miSecureMessages is a secure, two-way communication solution that functions with an App for AndroidTM, Apple(r) (iPad(r), iPhone(r), iPod Touch(r), and BlackBerry(r) devices. Secure Messages are sent to the Medical Staff’s miSecureMessages Apps on their smart devices quickly and securely using encryption. Replies to messages through the miSecureMessages app are also immediate and encrypted. miSecureMessages is a powerful smartphone paging and messaging application built for AndroidTM, Apple(r) (iPad(r), iPhone(r), iPod Touch(r), and lackBerry(r) devices. miSecureMessages replaces or supplements paging technology while enabling two-way instant communications using the power of the miSecureMessages App. No text or SMS packages are needed and it is easy to reply and organize your communications via the App. 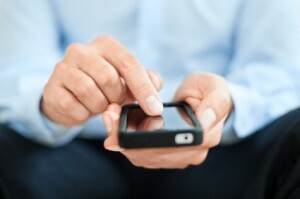 Using miSecureMessages also guarantees a message is received and read. By sending notification back to The New Connections, our staff is able to tell if the message has been read. If a message hasn’t actually been read within a predetermined amount of time, our agents will know and can use additional methods of communication to contact you. This avoids missed messages due to bad coverage areas, phone equipment issues, carrier problems, and misplaced devices. PHI, HIPAA, and HITECH regulations require that all patient-sensitive information is kept secure. The New Connections miSecureMessages uses end-to-end encryption with all of its messages. All messages sent are completely secure and confidential. miSecureMessages provides both encrypted delivery and read receipts in its real-time tracking and reporting and documents when medical staff have received and read their secure messages and their replies. New Connections offers a customized solution for your appointment scheduling needs. Our online software allows us to build in logic to handle your simplest to your most complex appointment scheduling requirements. 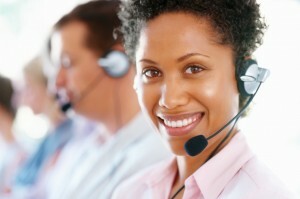 Our well-trained staff will be able to assist your callers and facilitate appointment setting. Our calendar is online and operates in real time. 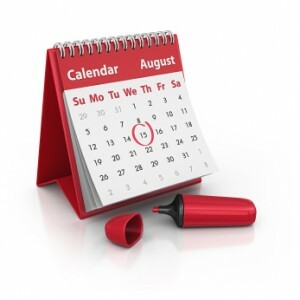 As a customer you are able to login and view and review all calendar events. Should your time become booked or unavailable, simply updating the calendar alerts our team of trained agents to the change and allows us to schedule around it as required. Our online software also allows us to keep you notified, even when you are in the field. As calendar appointments are made, an alert can be sent to your smart phone. This keeps both sides of the team (us and you) up to date in real time. The Hispanic community is a large market segment with real purchase power. Since 1976, New Connections has been proud to offer Bilingual Services. Whether your customer is an English or Spanish speaker, the customer service satisfaction should be measured and quantified the same. By allowing your existing customers to speak with your company in their native tongue, you will improve your retention ratio. Also, with New Connections as an extension of your Customer Service, you have the ability to expand into entirely new markets and open up amazing growth potential. 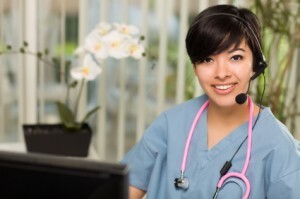 New Connections operates effectively in both English and Spanish, with our highly trained HIPAA-compliant experienced USA-based agents providing bilingual answering service to your customers. We offer 24/7 Live Operator Availability: never miss another call or opportunity as bilingual agents handle your phones around the clock to provide live answering, screening, message-taking, and transfers. We offer Call-Forwarding and Flexible Handling: have your calls processed, routed, and translated according to the criteria you specify. We offer Overflow Coverage: ensure each call is answered by a bilingual agent in a professional manner during peak call volumes. Due to trends of social media, awareness of special events, self-education seminars or classes is on the increase. From a client perspective, attendance is the most important aspect. New Connections Event Registration Service makes registering a breeze for your attendees. We’re ready around the clock 365 days a year to answer questions; provide details; capture demographic and marketing data; and most importantly, register individuals for your event. In today’s competitive business market, providing immediate customer service responses is imperative. Just as we process your after hours phone calls, we can give your clients the satisfaction of immediate response by replying to your inbound emails using the custom protocols that you provide our agents. In todays fast paced business environment consumers want to have options of how they communicate. 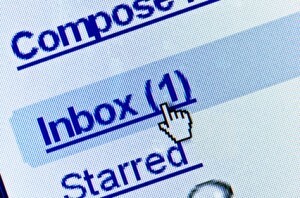 We allow you to offer email response 24/7/365 while you take the time to disconnect from the demands of your hectic work life.